I’ve been noticing an interesting trend in crowdsourcing campaigns lately. People starting up campaigns on Kickstarter and Indiegogo are asking the same question again and again: why should we shell out thousands upon thousands of dollars on (insert product) when we can make our own and share it with others for a fraction of the cost? It’s not surprising that so many of these types of campaigns revolve around 3D printing and scanning technology, since so many 3D enthusiasts are makers and innovators. Just last week we saw a build-your-own-scanner project, and there have been more than a few campaigns featuring independently made 3D printers for as little as a few hundred dollars – and, as a currently running Kickstarter shows, low cost certainly doesn’t have to mean low quality. The TRIUM 3D is a delta-style 3D printer with a fully aluminum frame. Although the assembly is simple, with very few parts, the printer’s capabilities are many. The full metal extruder allows for the use of pretty much any type of filament you’d care to experiment with, up to 265°C. One of the most impressive features of the TRIUM 3D is its print resolution capabilities – it can go as low as 20 microns (0.02mm) per layer. The circular print bed, with a 200mm diameter and 200mm height (you can also upgrade to a 400mm height) allows for some pretty decently sized prints. To finance the production of the TRIUM 3D, E-Mergin Innovations is attempting to raise €38,165 ($41,457) by April 12 — putting the campaign now at the halfway point with, as of the time of editing, about 60% of the goal reached. Rewards start at €15 ($16), which will get you a 3D printed keychain; a Super Early Bird contribution of €399 ($433) will get you the TRIUM 3D in kit form to assemble yourself. Assembly isn’t difficult; only a few basic tools are required and it shouldn’t take any more than two hours. If you want a fully assembled version, however, you can pledge €449 ($488) for a printer you can simply take out of the box and plug in. Higher donations will get you additional features, such as the increased 400mm build height. If the campaign is fully funded, E-Mergin promises that a lot more upgrades will be coming to the the TRIUM 3D in the future, such as a diamond hotend with three extruder heads for multicolor printing, a built-in camera, and more. They’re also hoping to further lower the cost of the printer. Interested? Check out the Kickstarter video below. Are you going to back this campaign? 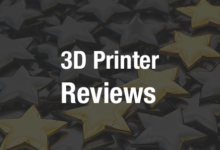 Discuss in the TRIUM 3D Printer forum over at 3DPB.com.